The things that we believe in and value in our lives influence the way that we act and think. For example, if we think that we are poor public speakers, this will have a negative effect on how we perform when speaking publicly. The flip side of this is that, if are aware that we have difficulty in this area, we can work to develop our skills, with a view to increasing our self-confidence. We may then find that our perceived belief about how badly we perform will also change. All of us, at some point in our lives, have had a limiting belief about ourselves. Because this type of belief tends to operate beyond our conscious awareness, we can have these very negative, unconstructive beliefs about ourselves without ever realising it. Because of this, we behave in limiting ways. The belief becomes like a self-fulfilling prophesy, holding us back. Our beliefs are the things we hold to be true, weather they really are true or not. What we believe has a powerful effect on how our lives unfold. To master our beliefs and use them to create what we want in life, we must first become aware of them. Then we can go inside and watch to see how they generate what happens, both inside and out. Where do our beliefs come from? Based on our early life interactions and experiences, especially with our primary care-givers, we all develop beliefs about who we are and what our relationship is to the rest of the world. We don't consciously choose these beliefs. We soak them up from our life experiences when we're too young to have an effective way of evaluating them. Our beliefs become core components of how we see other people, the world, and ourselves. Regardless of what we believe, we always find a way to create consistency between our life experiences and our beliefs. In combination with other aspects of your Internal Map of Reality, our beliefs create or attract the results, circumstances and experiences of our lives. The mind is a very powerful goal seeking mechanism. It will either find a way to make what we believe come true, or at least make it seem to be true to us. As human beings we have a powerful need for consistency between the world the experience and the things we believe. The drive to create this consistency is so strong that people will do almost anything to be right about their beliefs, even when doing so creates failure, suffering, or unhappiness for themselves. Of course we don't consciously decide to do this. It isn't voluntary. Its just the way we are. There are three main ways that we make what we believe either come true or seem to be true. We attract or are attracted to people or situations that make our beliefs come true, interpret whatever happens in such a way that our belief seems to be true, even if it isn?t, or act in such a way that it really comes true. We attract and are attracted to, people and situations that confirm the truth of what we believe. If we believe that no one will ever love us, we may feel a strong attraction to men or women who don't have the desire or the capacity to love us. Of course we have no way of consciously knowing this about them in advance but somehow we seem to know on a subconscious level. People often attract partners with the same basic characteristics, over and over again, each time in a different body. We attract people who will confirm what we believe as if by a hidden radar. Doing so creates consistency between what we believe and the actual events of our lives. I did this for decades until I eventually came to my senses. I would always attract women who could not really love me. When eventually I found one who did, I divorced her to prove to myself I was unlovable. If only I knew then what I know now I would not have lost a very special person from my life. Nor would I have caused her pain. At the same time she was working hard to reinforce her belief that men always leave her in the end. What a pair we were !!! If you believe you'll never be prosperous, you'll attract people and situations that will keep you from making money or cause you to lose it if you do somehow accumulate any. Whatever you believe, you'll exhibit a magnetic attraction to people and situations that will help you be right about your belief. We find ways to distort what we perceive so as to make a belief seem to be true, even if it isn't. If you believe that no one will ever love you, you'll interpret the behaviour of others as evidence that they don't love you, even if that isn't what it really means. My wife was busy proving her stuff about being abandoned and I interoperated it as evidence that she did not really love me. If you believe you'll never be prosperous, you'll find a way to interpret your situation as lacking prosperity, even if that isn't really the case. Of all the possible interpretations in any situation, we always pick those that confirm that what we believe is true. We filter out all interpretations that would contradict our belief. We act in such a way that people finally comply with what we believe to be true. If we believe that we will eventually be abandoned, that fear will cause us to act in such a way that eventually drives the other person away. This is what my wife did. If you believe you'll be poor, you'll act in such a way that you'll end up poor. With all these three methods, we get to be right about what we believe, creating consistency between what we believe and what happens in our lives. If you'd rather be right than happy, this is a great strategy, but if you'd like to be happy, peaceful and prosperous, it's a losing proposition. Major negative emotional experiences create beliefs that are not resourceful to us. They also cause us to focus on what we do not want. The emotional charge from such negative experiences pulls our focus to what we don't want. Since the mind takes whatever we focus on as an instruction to create or attract more of it, focusing on what we don't want is not resourceful. To get what we really want in life, we have to focus on what we want. We must also harbour beliefs that are consistent with those results. People who have had significant negative emotional experiences create a generalisation that the world is a dangerous place, or at least a potentially dangerous place. Quite naturally, they feel that they must avoid that danger in the future. To do so, they have to focus on it. Since focusing on anything gives the mind an instruction to create or attract more of it, such people end up getting the very thing they're trying to avoid. There are two ways to overcome this problem. The first is to change our focus to what we do want. When you notice yourself remembering your past trauma, immediately change your focus to the conditions that you do want to have in your life now. A good way to do this is by asking yourself ?how can I? type questions. For instance, if you find yourself focusing on being in debt, you might find yourself making internal pictures and having internal dialog about owing money and being poor. Instead, you could ask yourself, ?How can I create enough money to pay these debts and begin to create some significant wealth?? Then start to daydream about how great it will feel to be prosperous. Decide what you want and ask yourself how to get it. This focuses your mind on what you want. You will begin to make internal representations of what you want and how to get it. As a result you will get some ideas. As soon as you get a workable idea, act on it! By focusing in this way you will begin to notice resources you didn't notice before. You begin to draw on internal resources you didn't know you had, such as persistence, problem-solving abilities, and so on. And, you'll become motivated to take action. Action is a vital part of the process that some people seem to leave out. Incredible but true. Sometimes your mind will immediately generate answers to the questions you ask. Other times, you may have to ask the question many times, over days, weeks or eve months. In asking ourselves positive questions we start focusing on what we are asking about. Then the unconscious mind immediately gets to work creating a solution. So, now that you know how this works, what might keep you from doing this? Trying to be safe by avoiding danger might keep you from focusing on what you want. If you're scanning the environment for danger, which is focusing on what you don't want, it's because you've had significant negative emotional experiences in the past. Now you know that you don?t need to do it any more, do you?. If such experiences were strong enough there may be an unconscious pull to focus on what you don't want, but you can still decide to focus on what you do want instead. Its your choice. If the trauma was strong enough, you may have to get rid of the emotional charge on the root cause of the trauma. This can be done through therapy, meditation, and a few other methods. 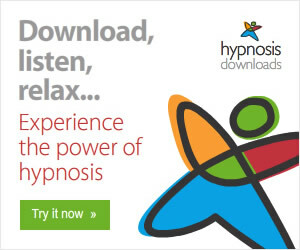 I have created a guided meditation to help you here. Once you make the past trauma emotionally neutral, though, you're free to focus on what you want and thus create it. To believe something, we have to make internal representations of it, in other words we have to think about it. Negative beliefs involve making internal representations of what we don't want, which causes the brain to create or attract more of it. Negative beliefs, in one way or another, create or attract situations or people into our lives, or make us act in such a way, that the negative belief either comes true or seems to be true. Everything is true to the person who believes it. Often when people argue or dispute a situation, it is because their maps are different, not that one map is more valid than the other. For example, four people can watch a television programme and all of them will perceive it differently, not because they have watched different versions of the same programme but because their differing maps influence their perceptions of the programme. We create, attract or imagine whatever evidence we. So evaluating beliefs based on whether they're ?true? or ?false? isn't really very helpful. Evaluating our beliefs in this way is just indulging in circular, flawed logic. Some people can convince themselves that the earth is flat or that theirs is the only true religion. In order to be right about what they believe, people are quite capable of imagining all the evidence they need. If you will always find a way to make whatever you believe either come true or seem to be true, how could a belief ever be false? If you believe it, you're going to find a way to make it seem true to you. Only other people's beliefs can ever be false, your beliefs will always turn out to be true. For this reason, conscious, happy people evaluate beliefs based on whether or not they're resourceful. Whether they lead you towards good results and experience of life. Please don?t write in saying that ice is cold whatever we believe. I am not talking about those kinds of beliefs. I'm talking about more esoteric beliefs and your ability to make what you believe come true, or to make it appear to be true. In terms of your experience of life, this amounts to the same thing. ?Weather you believe you can or you believe you can?t, either way you are right?. Since whatever you deeply believe will end up being true for you, why not believe what will give you the results you want? Believe that you can make money, and you will. Believe that you can be happy, and you will be. Believe that you can have great relationships, and you will. Believe that you're lovable, and you will be. There are a few other things you're going to have to do, but believing it starts the ball rolling, and without believing it, nothing happens. Beliefs have consequences. So the best way to evaluate a belief is by the consequences it creates. Once you decide to believe something, you'll begin to create the experiences and evidence that will back up that belief. Changing our beliefs is possible. Let's say that you look around and notice that some people do create close, loving relationships. You do a little research and discover that these people tend to believe that they are lovable. They believe that they deserve love. They believe that they can give and receive love. Because you now know that what you believe generates certain results, you decide to drop the belief that you aren't lovable and, instead, adopt the beliefs of those who have great relationships. Smart move. In the beginning you may feel like you're lying to yourself. It feels strange to believe that you're lovable when your entire past experience screams that you aren't. But here's what I'm asking you to do. I want you to think and act ?as if? you are lovable. Begin by pretending, by acting like a person who believes that they are lovable. You could even ask yourself, from time to time, ?What would a person who is lovable do or think in this situation?? This ?as if? thinking and acting will sneak up on you, and pretty soon you'll find yourself thinking and acting like a lovable person, and once you do that, you'll be a lovable person. The witness posture. A very effective way to replace unresourceful beliefs is to adopt the witness posture Just watch yourself with awareness. Observe the process of how, what you believe, creates the events of your life. This watching process almost automatically causes whatever isn't resourceful to fall away and whatever is resourceful to remain. This works because it's impossible to consciously do something that doesn't serve you. You can, and have, been doing so subconsciously, but you can not do it consciously. By doing something consciously? or ?doing something with awareness? I mean that you are actually aware of what you're doing to create a certain result, while you're doing it. This means seeing how you're filtering things, and what internal representations you're making, in real time, as you do it. As you watch, keep in mind the inevitable outcome and curiously watch the process unfold. By watching in this way, your motivation to keep doing the unresourceful thing dissolves, as does the belief that generated the whole mess in the first place. You don't need to consciously work out what's resourceful and what isn't. Just watch with awareness, and what isn't resourceful automatically falls away. Anyone can learn to watch with awareness and to notice the effect your beliefs have on what you create in your life. It just takes some practice. If you aren't good at it at first, so what? You weren?t good at driving the first few times you tried. But your guts and perseverance eventually paid off. So it will be with this. Consciously choose more resourceful beliefs. Once you've watched the creative process with awareness, and, as a result, you've caused a belief that doesn't serve you to fall away, you can then consciously choose a more resourceful belief to replace it. You could make a long list for each of these sentences. In doing this, you're looking for what you say to yourself when things have gone wrong and look bleakest. Don?t just repeat what you may have learned in self-help books, what you think you should believe. Instead, write down what you really do believe about yourself, other people and the world. Some of your beliefs will be resourceful, others will not be. Some people, as they compile their list of beliefs, find that many of them are negative. Then they become depressed about it. Instead of doing that, if you discover that you have a lot of beliefs that don't serve you, celebrate that fact that you've finally noticed this. You've been suffering the negative effects of these beliefs for years. Now that you know what they are you can do something about them. This is a huge positive step, so celebrate. You've taken the first step toward being happy and peaceful and getting your life together. Another way to discover what you believe is to look at the results you're getting. What you believe will manifest in your life. If you believe you aren't lovable, you'll find a way to make that come true. If you believe it's difficult to make money, you'll figure out a way to make that come true. If you believe that people will hurt you if you don't watch out, you'll find a way to antagonise people or to draw hurtful people into your life. If you're getting certain results you probably believe that it can and will happen to you. Then you find a way to make it come true. Of course this doesn't happen by some sort of magic. What you believe manifests in your life because you DO something to make it manifest. What you create happens because focusing your mind motivates you to act, it causes you to notice resources you could use to make it happen, it causes you to find internal resources that help you make it happen, and it gives you ideas about how to make it happen. It also motivates you to TAKE ACTION !!! When you see people who are getting better results than you are, you can be sure that they have different and more empowering beliefs on that subject. In fact, the shortcut to creating something in your life, whether it's happiness or worldly success, or anything else, is to find others who already have it and find out how they're thinking and acting. Then, copy how they're thinking and what they're doing. For any outcome you want, there is a certain way of thinking and acting that will get it for you, and those who are getting that outcome are already thinking and acting in that way. As long as you continue to hold the same beliefs, you'll continue to get the same results. There's no way to continue to hold the same beliefs and get different results. To get different results, you must be willing to adopt different beliefs. 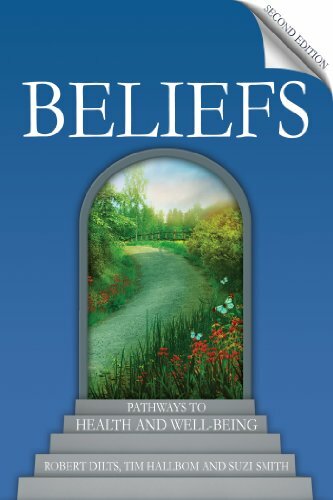 Once you know what your beliefs are and have decided what new and different results you want, the next step would be to decide what beliefs would create those results. Install a new belief. To install a new belief, focus on it as often as possible and in every way you can think of. Once you've chosen what you want to believe, based on the results you want to get, you can begin to adopt this new way of thinking. Doing so will automatically begin to create new results. Start feeding the new belief into your mind, over and over, while wiping the old belief out of your mind whenever it pops up. Think about the new belief while meditating, while driving, while showering, as often as possible. Act as if it's already true for you. Ask yourself, ?What would someone who believes this think? What would someone who believes this do?? Changing to a new and more resourceful belief may bring up uncomfortable feelings and thoughts in the beginning. Let that be ok. The safety part of you will probably fight for the old belief, so be prepared for that. And, the more that safety was an issue in creating the belief in the first place, the more it will fight. Don't let that bother you. Just keep focusing on what you want. Another way to change beliefs is to read books by people who share your new belief, socialise with people who share it, or find a mentor who will help you adopt the new belief. There are lots of books about positive thinking, about making money, about creating good relationships, about having peace of mind, about being healthy, and anything else you want in life. Find them and read them. Be on the lookout for other people who believe what you want to believe. Going to seminars about what you want is one way to meet such people. There's a price to pay to make these changes. You might look at the price and feel discouraged but remember that you're already paying the price for not changing. Only you can evaluate these two prices and decide which one you want to pay. Personally, I?d choose paying the price of change, because it's smaller than the price of staying the same, and it only takes a limited time to pay it, whereas you'll be paying the price of staying the same for the rest of your life. The price is really very small, a bit of work, a bit of effort, a bit of self-discipline. Whereas the rewards are huge, a new, happy, prosperous you. So go for it ! !